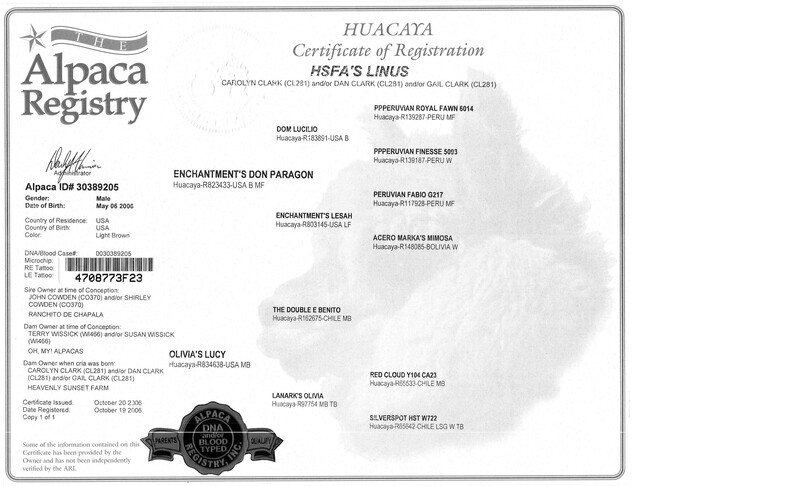 Linus' first cria arrived on April 8, 2010. A beige female (nearly white) with nice fleece and great conformation. Her dam is Invincible's Casper's mom. 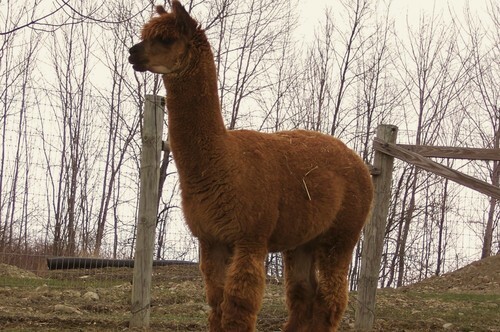 On May 22, 2010 Linus' second cria arrived - another female (light fawn)! We are thrilled with the results from his first breeding experience. Both crias have dense, crimpy & soft fleece. His 2011 cria was a male born in August to our pinto "Mischief." He is solid light brown with a white mark on his forehead and thus named "Star." 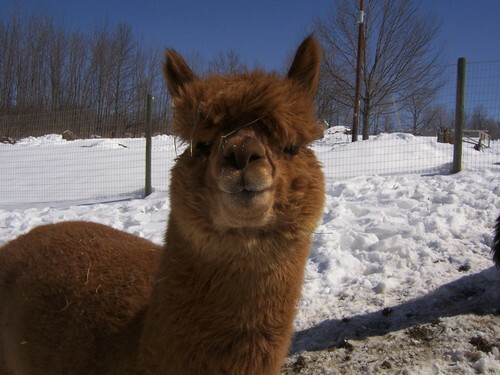 His conformation and fleece characteristics are identical to Linus. $500 down ... 4 Quarterly payments for l year.